Supermarkets have really caught onto the popularity of beer and their ranges are arguably better than ever and ever-increasing with the likes of Tesco getting their mitts on the new ‘Craft’ ranges by Marstons (Revisionist range) and Greene King. It’s Tesco that I’ve a slight annoyance with though- in the way that they categorise their beers. Tesco have separate sections to display their stock, one section is for British, more traditional style beers such as Fullers, Adnams and Young’s and one is titled as World & Specialist Beers. 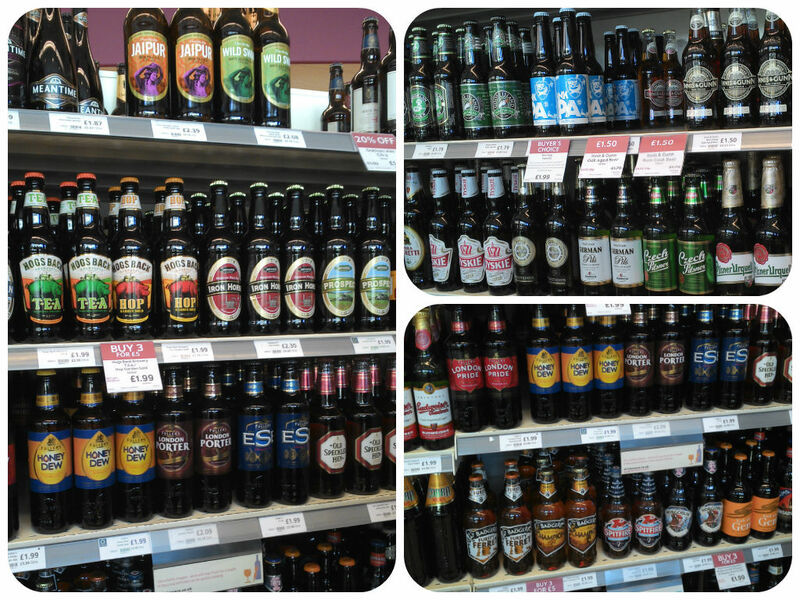 In this titled section you will find sub-sections, one titled American Craft Beers and one titled British Craft Beers. My problem? It’s all very confused. I initially wrote a draft for this post and it’s become an unreadable scrawl- the more I thought about Tesco’s confused system, the more my paragraphs got confused and eventually the whole thing became an unreadable mess. Much like Tesco’s beer aisle. I’m all for World Beers being stocked separately, but if you do this then please don’t list a Swedish brand beer (Pistonhead Kustom Lager by Spendrups’ Brutal Brewing) as an American Craft beer. It may look like it’s from a Hot Rod garage but read the label. If there is an insistence to separate what is deemed to be Craft then why are Brewdog beers not on the craft shelves of the Specialist section? These are arguably the guys responsible for this current trend and Craft buzzword that Tesco are latching onto. Brains’ Craft beers are also not included in the British Craft section. My local Tesco Extra store stacks its ‘non-specialist’ beers in order of style with pale ales at one end gradually moving through to stouts at the other with Ginger Beers thrown on at the end. Turn the corner and there’s a mish-mash of part -local beers and beers on an offer that don’t match with anything else. Yet more confusion. If anything should be kept separately then it should be the local brews (which Tesco are OK at stocking, but could do better). I’d also like to see them follow Waitrose and Sainsbury’s style of arranging by brewer. All the Fullers beers together, all the Adnams beers together, none of this One here- One there- One on the other side of the aisle nonsense. Don’t get me wrong, I’m not trying to work out what’s craft and what’s not because that’s a debate for someone else, somewhere else. And maybe, just maybe, it’s me and my slight OCD tendencies affecting my vision but in a time when beer is growing ever more popular and complex it’d be nice if there wasn’t unnecessary confusion, especially for the non beer geek, casual drinkers out there. Tesco, please simplify your stacking. Thank you. Great post – I hope someone from Tesco reads this as it’s not really that difficult to organise them in a logical way. I also hope that my local Tesco express gets some decent beers in!